Calusa Veterinary Center would like to introduce our October 2016 “Pet of the Month”. Frankie (Francesca) Feltingoff was born on July 10, 2000 and is 16 years young. I had to wait 4 months for her arrival as she was born in Tokyo and her breeder was delivering her to me. The only English she knew was her name. Long trip for a little girl and to a strange place with a strange language. Frankie, being Frankie, smart, funny and independent, adjusted very quickly to life with her new mother and to life in America. However, I still swear that my phone bill was ridiculously high for a long time because she was secretly calling her Japanese family on a regular basis to let them know what she really thought of me. She loves life and gets up every day with a smile on her face and a spring to her step. I do believe that Frankie thinks she is a rock star and acts like one. Not a diva, but someone who has a special position in life and takes full advantage of it. 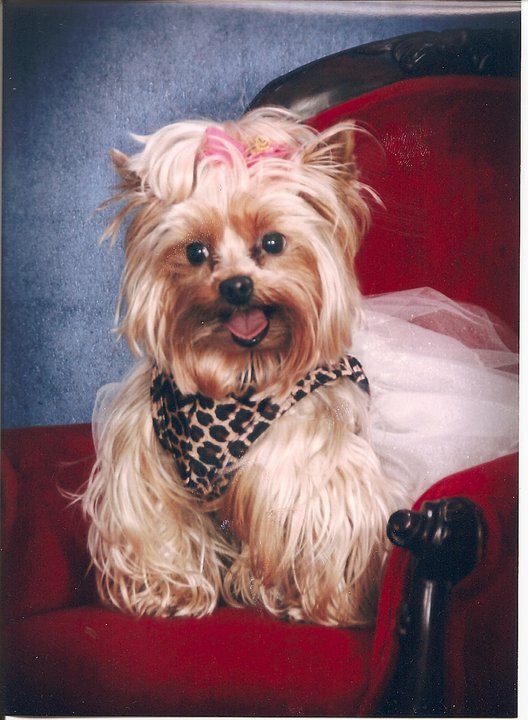 Always a giver with a generous heart, she most enjoyed her role as a Therapy Dog. It amused me to see her sitting in someone else’s lap, making them happy and giving them joy. This last year has been a challenging one for Frankie and me as she had been quite ill. We both want to give special thanks to all of the staff at Calusa who helped us get through this terrible time and get Frankie back on her feet and back to herself. And thank you for naming Frankie “Pet Of The Month” for October 2016. We consider it a gift and an honor. Congratulations to “FRANKIE” and The Feltingoff Family for being voted Calusa’s October Pet of the Month!